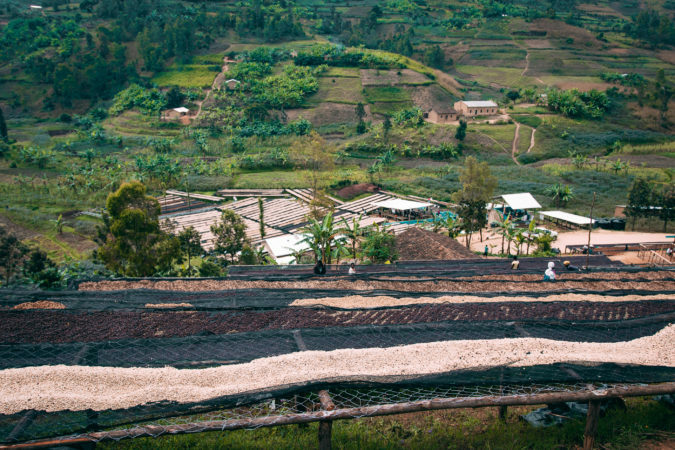 The Muraho Trading Company built the Bumbogo coffee washing station (CWS) in January 2017 in Gakenke, a district in Rwanda’s Northern Province known for its high-quality coffee. In recent years, Gakenke has produced several winning lots in the Cup of Excellence. 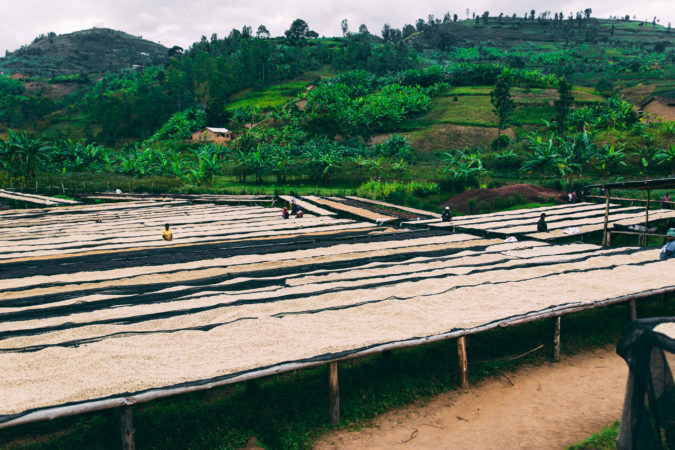 During its first year in production, Bumbogo faced a number of challenges and wasn’t able to begin production until the end of April, leading to lower outputs than forecasted. 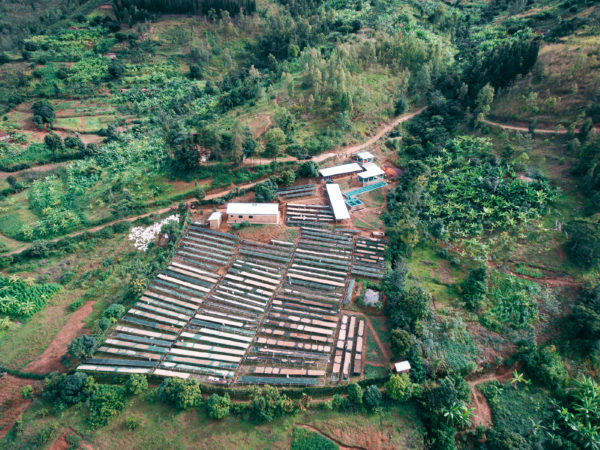 “But here at Muraho, we don’t give up,” said the company, “and this year our Bumbogo families more than doubled their production!” While the station began with 97 drying tables, the increased production of the second year led to the purchase of 106 more tables. Farmers received bonus payments and second payments both years. 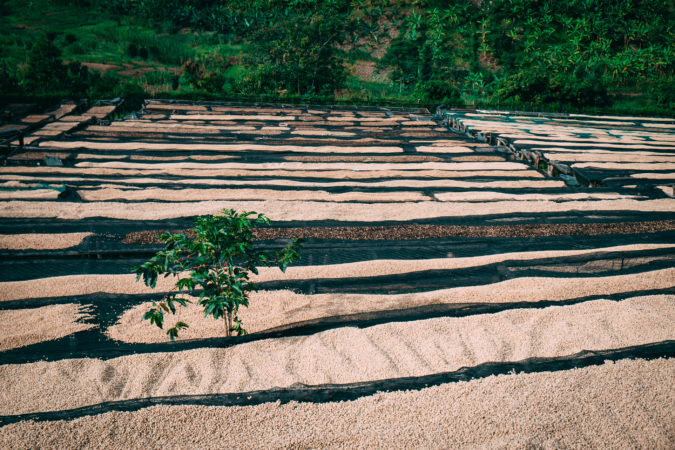 Bumbogo currently processes coffee from 523 producers. 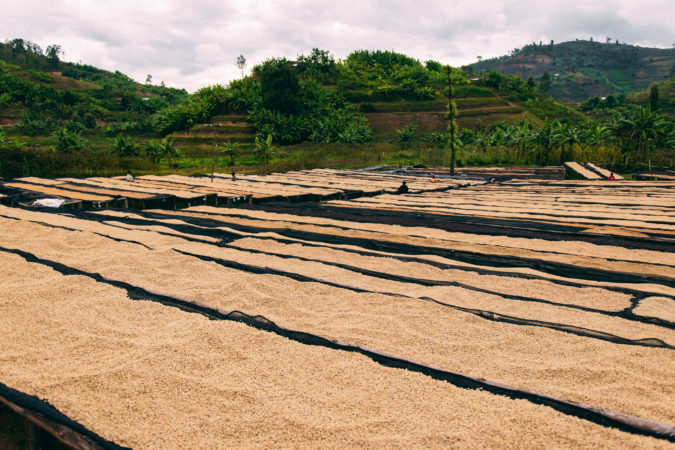 Beans are then graded using channels based on density and size from A1 to A4, and hand sorted. And finally, they’re dried for 20 to 25 days on raised beds.